After a long day at work with nothing but a few steamed greens and rice I decided to go check out the clamming grounds in Rumson. Unfortunately the tide was on its way up but there was a little bit of beach exposed and sure enough some clam holes were there. 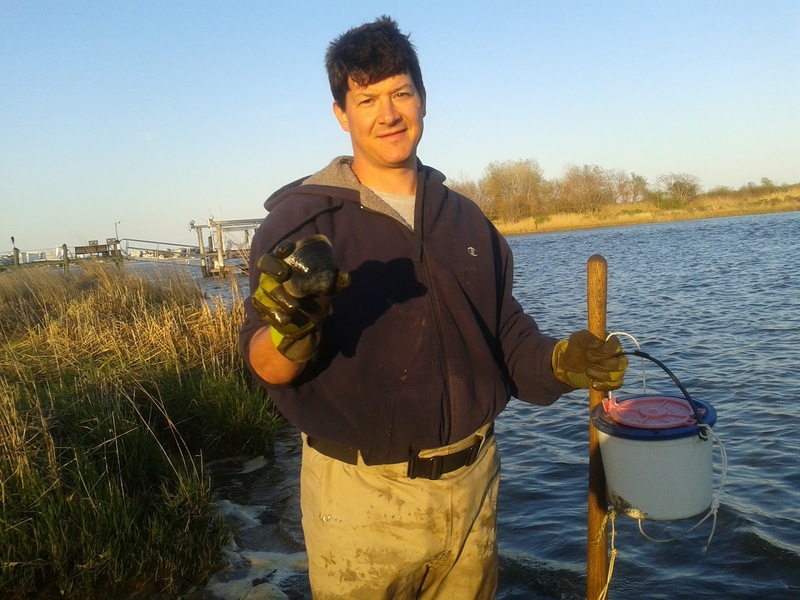 In a few minutes I was able to gather about four steamers. Then I walked out into the water a bit and added a few hard clams to the bucket. Not bad for about 20 minutes of work. This is the protein I need right now. 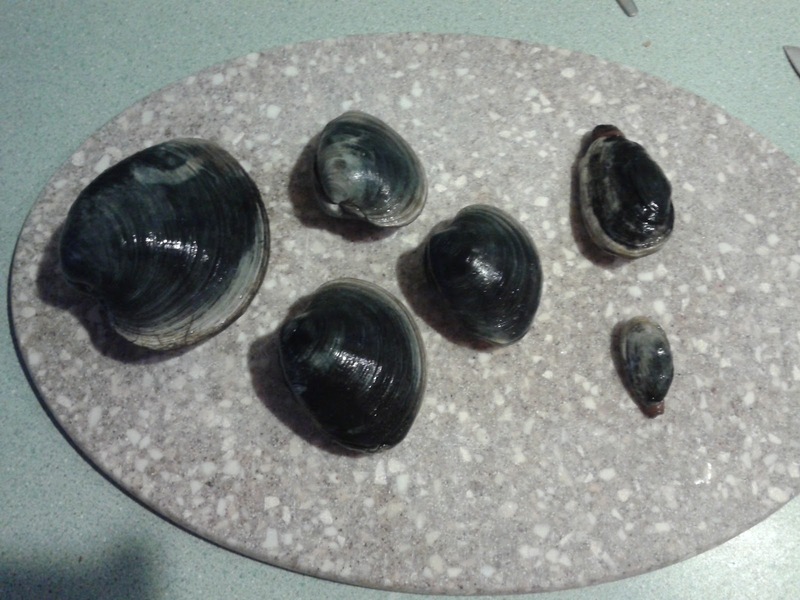 I crushed a few of the steamers while digging so when I got home, these were the ones that I cooked up for dinner. 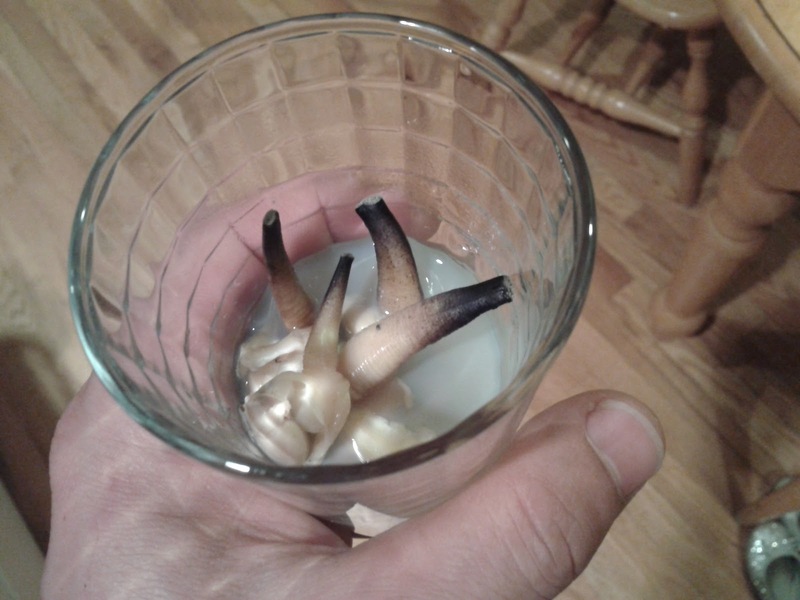 They were quite tasty and I had the clam broth to drink with them as well. This is beginning to feel a lot like the start from the past years. As long as the clams are there, they are an easy pick to get some meat in me. The fish are the challenge - but that should come soon enough. I suppose it might help me to go back in time and actually read my previous posts so that I can figure out what lies ahead. And maybe avoid some of the same pitfalls.